Information, news and opinion about the use of pesticides in agriculture and horticulture. 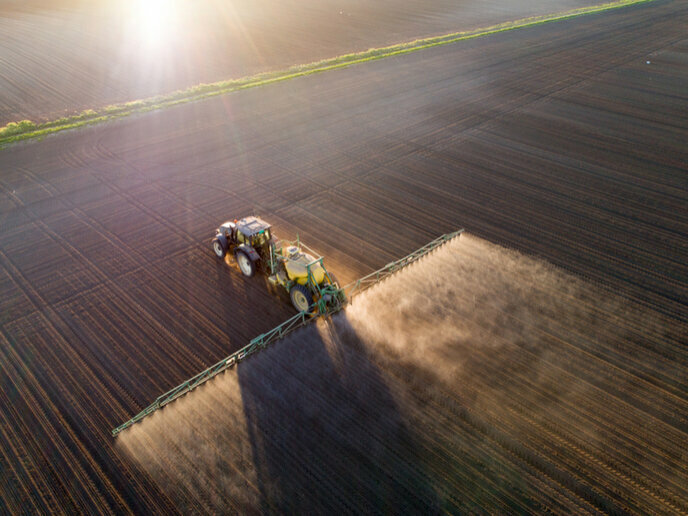 This entry was posted in Climate change, Food, Intensive agriculture, Pesticides, water on January 28, 2019 by Colin Shaw. A report on a respected science web site, Phys.Org, says that there is evidence of pesticides in European soils. That is not really a surprise but still worrying. The other part of that will be low organic matter in soil making it more prone to erosion. Soil should be seen as a vital resource for growing food and not as a sterile medium for industrial agriculture. After 70 years of intensive farming soils are in a worse state and still deteriorating. The only answer is the wide scale adoption of organic farming methods which cultivate healthy soils producing nutritious food. A good example of what can be done is Riverford Organic. Or, you can start growing your own organic food! This entry was posted in Food, GMO, Pesticides on January 22, 2019 by Colin Shaw. A complete ban on the use of organophosphates is way overdue. They are one of the most pernicious chemicals used in agriculture. They certainly have no place in the food chain. A few years back I was talking to a group of allotment gardeners. They used OPs to kill carrot root fly. One man explained they got a hand full and sprinkled it in the row when plating seeds. He was unaware that OPs are toxic through skin contact and that they are a cumulative poison. Soon after they were banned from sale to domestic users. This new report says: “The study, published in the journal PLOS Medicine on Wednesday, said that even low-levels of organophosphate exposure can cause brain damage in children.” So why does anybody want to use them? The simple answer will be profits! See this article from the Pesticide Action Network which cites three new studies. This entry was posted in Pesticides and tagged organophosphates on October 30, 2018 by Colin Shaw.